Well here it is Ladies and Gents, our #DogWeek has come to a wrap on @TheYLife and we couldn’t bare, not sharing Possum’s #5FavoriteThings with each and everyone of you! 1. First things first… Possum LOVES to travel! She is a jet setting pup… whether that means catching some Zzzzz’s on a red eye or curling up in the car for a roadtrip! Make sure to keep your onboard approved doggie travel bag on hand; always take your pups: binky, favorite toy, ziplock bags of treats, a potty pad and travel certificate with you! TIP: When traveling via Air, make sure to take your doggie for a vet visit and purchase a travel certificate, which you will need to show at the gate. It will run you approximately visit cost + $80 Certificate. 2.TOY: Possum loves her Lamb Chop… We always make sure to have a new toy for Possum, dogs have deep affection to their toys- they learn to love and care for them. 3. DIAPERS: Yes, yes I know… I never got Possum fixed… It is not for any other reason than the fact that I thought I was going to breed her, but never did. So although she is already 6 Years Old, she still gets to revel in the pure joy of her menstruation every 6 Months! We have a cloth diaper for her, which we put thin Carefree’s in… But, an easier option are disposable diapers. 4. 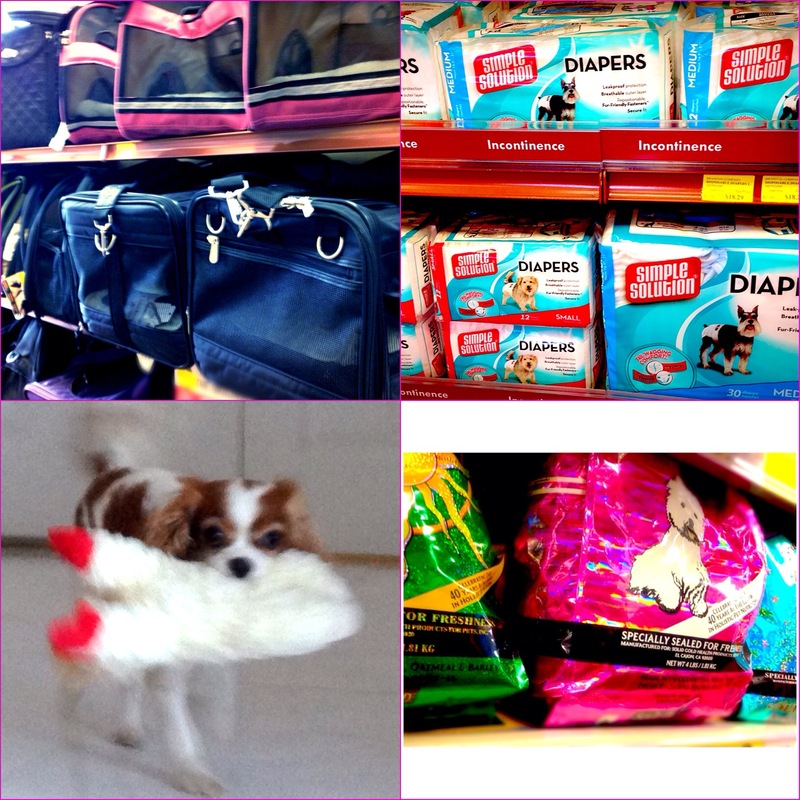 Solid Gold Dog Food:We can’t get this little buddy to eat, if it isn’t for Solid Gold… AND not just any bag the Pink bag! Yes, we know she is a little spoiled, but what are you going to do, they are sooooo cute!!!! It is a combination of Ocean Fish Meal, Fresh Bison and Brown Rice… It must be something about the mix of fresh whole grains, some yummy seafood and that good ol’ Bison that gets her every time! 5.MARIA Crackers: In Cuban tradition this little dog LUvs to indulge in the most simplistic of all cookies from Spain, which are basically Vanilla Wafer style cookies. A little bit sweet and a lot a bit delicious, our little girl can always be bribed with some MARIA’s! We hope you and your little one had an amazing time reveling in this weeks dog-brations!